The proportion and number of female scientists at the Council progressively increased over the last years. Currently, they represent 52% of the total number of researchers and 60% of the fellows. Currently, 52% of the researchers and 60% of the fellows are women. The figures are striking: between 2003 and 2014 the number of female researchers at the National Scientific and Technical Research Council (CONICET) increased from 1.625 to 4.410 and nowadays they represent 52% of the total amount of researchers. In the case of the female fellows, the figures also rose: from 1.342 to 5.715 during the same period and the total number represents 60% of the total of fellows at the organization. Today, the 48,72% of 2,400 technicians are women. 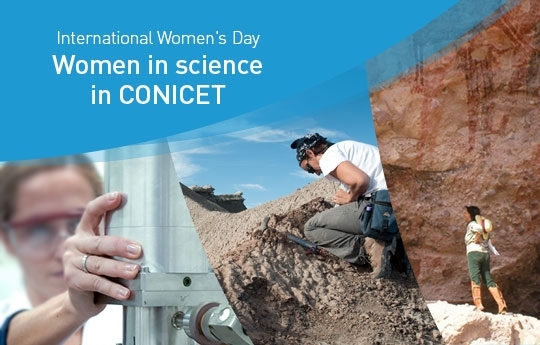 This growth in the proportion of women who participate in the activities of Science and Technology at the CONICET is widespread throughout the country. The information of the year 2014 revealed that in the provinces of Entre Ríos, Neuquén and Tucumán, 60% of the researchers are women. Those figures are followed by Chaco (59%), Jujuy (59%) and the city of Buenos Aires (57%). With respect to the number of doctoral and post-doctoral fellows, the highest percentages were recorded in La Pampa (74%), Jujuy (74%), Tucumán (68%), Neuquén (68%), Tierra del Fuego (68%) and Catamarca (68%). It is also significant to highlight the constant growth of women in the highest categories of the CONICET Researcher Career. In 2003, women represented 40% of the total amount of independent researchers, 27% of the principal ones and only 18% of the senior category. However, in 2014 female scientists represented the 48% of the independent researchers, 39% of the principal ones and 25% of the senior category. This evolution ensures gender equality in the different categories of the CONICET in the near future.